The holy places are to the world what the stars are to the firmament, a source of light, warmth and life. 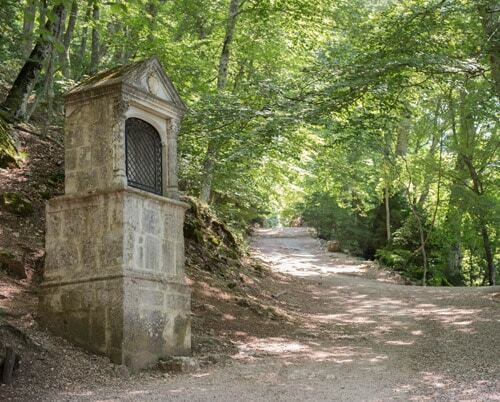 The Saint Baume is first a geologic curiosity : its rocky bar, which is twelve kilometers long, emerged from the seabed during the secondary era and its forest, protected by the cliff, is a “relic” of the one which covered the Provence at the end of the tertian era. 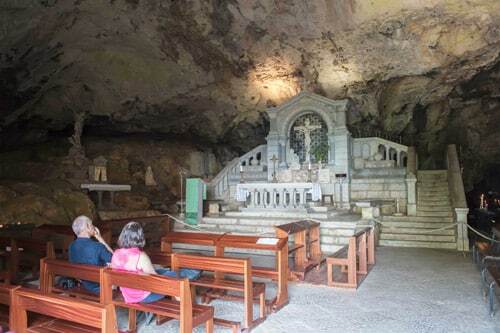 The natural Grotto dug by erosion (baume, in provençal dialect) has become one of the most ancient pilgrimage place in the Christian world : saint Mary Magdalene would have lived here thirty years. In the Gospels, Mary Magdalene is the women whom the Christ has delivered from seven daemons, who became his disciple, who was there at the cross and to whom Jesus first appeared on Easter morning. According to the Tradition of Provence, she was expelled from Palestina with several disciples during the first persecutions against Christians after the Ascension Day. Given to a frail boat without sail or rudder, the exiles miraculously approached the provencal shores in the place now called Les Saintes Maries De La Mer and became the first preachers of the Gospel in Provence. Mary Magdalene preached in Marseilles with Lazarus, then she settled in this steep mountain, in the Grotto which since then bears her name. Like the beloved in the Song of Songs, “dove hidden in the clefts of the rock, in the hiding places on the mountainside”, she devoted herself to prayer and solitary contemplation. In 1925, when the excavations conducted by Charles II of Anjou in Saint-Maximin revealed her tomb, the pilgrimage to the Grotto developed again. The Dominicans replaced the monks established in this place since the Vth century as guardians of the Magdalean tradition. During the centuries of faith, the pilgrim movement amplified until the Revolution. 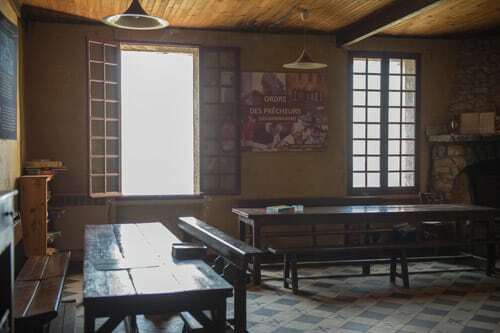 In 1859, affected by the abandon of the place, Father Lacordaire undertook the restoration of the holy places in Provence, and the construction of the Hostellerie de la Saint Baume. Today, the community of Dominican friars continues this mission of welcome of believers and non-believers, all pilgrims on the footsteps of Mary Magdalene. 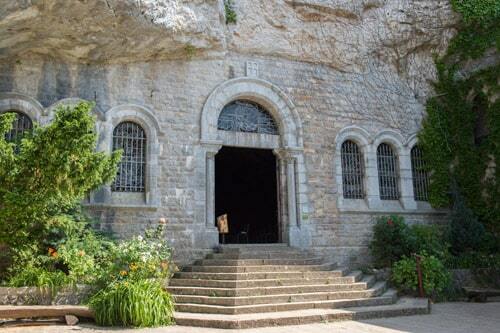 The Grotto in Saint Baume is a sanctuary held by Dominican friars. 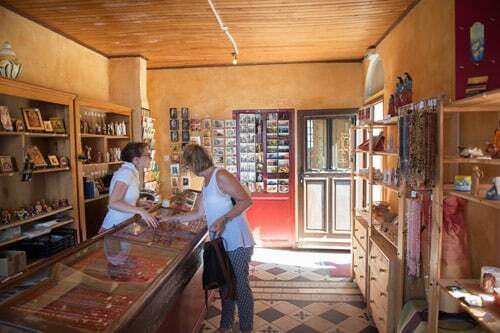 -The Pilgrim shop: souvenirs, piety objects, postcards, books, CDs … If it is not open, do not hesitate to ring at the convent’s door. A friar will be happy to welcome you. Pets are not allowed into the forest and the Grotto. The only way is to come by foot. It takes about 45 minutes. More information here.